A fast & effective nutritional supplement for the continuation of normal joint function in ageing and less mobile dogs. 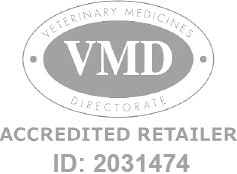 C2 Collaplex Capsules for Dogs is a Prescription Only Veterinary Medicine and by law requires a prescription from your vet. C2 Collaplex's unique formulation not only contains glucosamine and chondroitin but also vitamin C, manganese and purified type II collagen. No loading dose required, 1 capsule per 15kg bodyweight daily.